Sydney is known for nightlife, trails, beaches, parks, and museums. 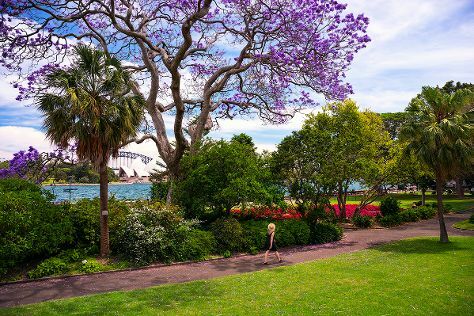 Your plan includes some of its best attractions: admire the natural beauty at Royal Botanic Garden Sydney, hunt for treasures at Sydney Fish Market, make a trip to Sydney Harbour Bridge, and appreciate the extensive heritage of The Rocks. To find reviews, ratings, other places to visit, and tourist information, use the Sydney trip planner . Use the Route module to find suitable travel options from your home destination to Sydney. In October in Sydney, expect temperatures between 28°C during the day and 17°C at night. Finish your sightseeing early on the 2nd (Sat) so you can travel to Magnetic Island. Kick off your visit on the 3rd (Sun): appreciate the extensive heritage of Magnetic Island Forts Walk, cast your line with a fishing tour, and then kick back and relax at Geoffrey Bay. To see more things to do, other places to visit, where to stay, and other tourist information, use the Magnetic Island trip planner. Traveling by combination of flight and ferry from Sydney to Magnetic Island takes 6.5 hours. Alternatively, you can do a combination of car and ferry; or do a combination of train and ferry. Traveling from Sydney in November, expect Magnetic Island to be somewhat warmer, temps between 36°C and 26°C. Finish your sightseeing early on the 3rd (Sun) so you can travel to Melbourne. Dedicate the 7th (Thu) to wine at some of the top wineries in the area. And it doesn't end there: take in nature's colorful creations at Royal Botanic Gardens, get lost in a book at State Library of Victoria, enjoy unforgettable views with a balloon tour, and let your taste buds guide you at a local gastronomic tour. To find ratings, traveler tips, more things to do, and more tourist information, refer to the Melbourne trip itinerary builder app . You can do a combination of ferry and flight from Magnetic Island to Melbourne in 6.5 hours. Other options are to do a combination of ferry and car; or do a combination of ferry and bus. Expect a bit cooler weather when traveling from Magnetic Island in November: highs in Melbourne hover around 26°C, while lows dip to 11°C. Cap off your sightseeing on the 8th (Fri) early enough to travel to Noosa. Explore Noosa's surroundings by going to Maleny Botanic Gardens & Bird World (in Maleny), Artworks in Clay by Anne Gentry-Smith (in Montville) and Australia Zoo (in Beerwah). 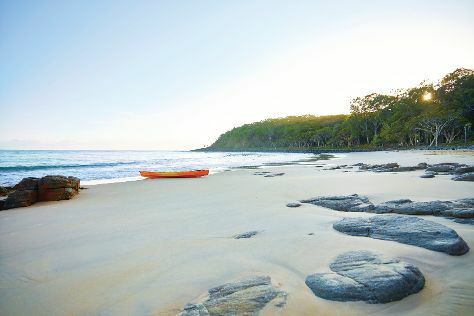 Spend the 9th (Sat) exploring nature at Noosa National Park. There's much more to do: stroll through Noosa Main Beach, explore the activities along Noosa River, and kick back and relax at Mooloolaba Beach. For traveler tips, ratings, maps, and other tourist information, read Noosa travel planner. You can do a combination of flight and bus from Melbourne to Noosa in 6.5 hours. Other options are to do a combination of flight and train; or drive. Finish your sightseeing early on the 12th (Tue) to allow enough time to drive to Brisbane. You'll find plenty of places to visit near Brisbane: Warner Bros. Movie World (in Oxenford), Sea World Theme Park (in Main Beach) and Surfers Paradise (SkyPoint Observation Deck & Surfers Paradise Beach). And it doesn't end there: have fun at South Bank Parklands, have some family-friendly fun at Zoccer Sports - Bubble Soccer, take in nature's colorful creations at Roma Street Parkland, and look for gifts at Psychic Readings Twin Featherz. For where to stay, more things to do, photos, and other tourist information, go to the Brisbane trip itinerary builder site . You can drive from Noosa to Brisbane in 2 hours. Alternatively, you can take a train; or take a bus. 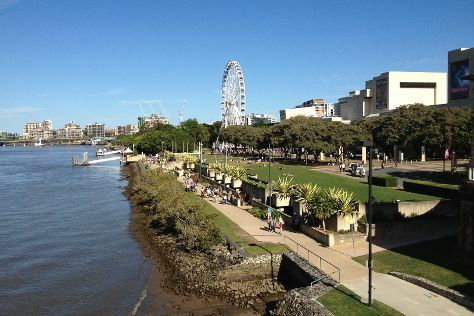 In November, daytime highs in Brisbane are 31°C, while nighttime lows are 21°C. Wrap up your sightseeing by early afternoon on the 18th (Mon) to allow enough time to travel back home.